The flavour of watermelon will remind you of your first ever beach experience when the hot sun tanned your skin while you enjoyed some real watermelon juices. In the bright light of the sun, the delicious and refreshing flavour of watermelon fuses with your mind to bring you back to life all over again. 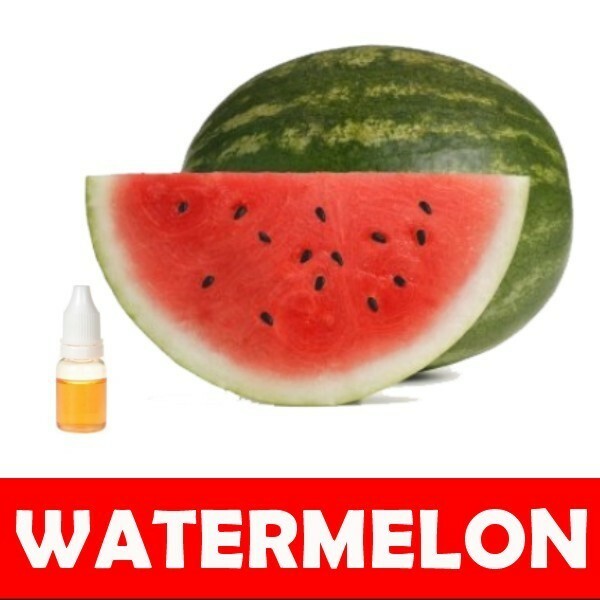 Enjoy this e-liquid watermelon to revive and rejuvenate yourself in an all new way. The vapour-producing agents used in electronic cigarettes are propylene glycol (PG) or vegetable glycerin (VG). Traditionally, e-juices come with PG, but VG is always available for those allergic to propylene glycol. PG produces fewer vapours, but is much sweeter. VG, on the other hand, is less sweet, but produces a lot of vapour. In some cases, the two could be mixed in pre-determined ratios to complement their strengths. A little PG for example can be added to a VG solution to improve the solubility of the e-liquid. Typical mixing ratios are 100% VG, 50/50 VG/PG and 20/80 VG/PG. VG is considered safe for consumption and is an ingredient in many foods, toothpastes and personal care products. PG and VG form the base solution of any e-liquid and could make between 80 and 90% of the total capacity. As for nicotine, it can be present or absent in an e-liquid. Even when present, the strengths vary from negligible percentages to about 4.8%, but concentrations beyond the 2.4% mark are becoming increasingly difficult to come by. When the concentration is indicated as 0%, it means that the e-liquid is nicotine free. The flavouring agent usually makes between 10 and 20% of e-juices. These are food grade additives that give e-juices their tastes. Distilled water is also used for dilution. Comment : Reminds me of summer, but now I can have this flavor year round.